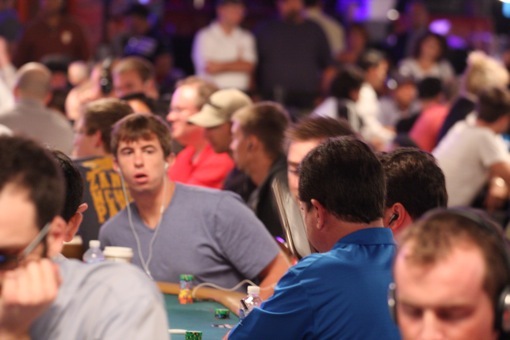 Shannon Shorr finds himself among the early 2011 WSOP Main Event big stacks on Day 1C. Note: Get a full Day 1C update here. Big turnout for Day 1C of the 2011 WSOP Main Event. 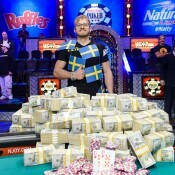 A total of 2,181 joined Day 1C, boosting the grand total for the 2011 WSOP Main Event to over 4,000. 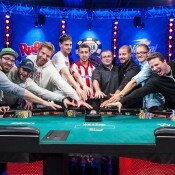 With around 2,500 – 3,000 expected tomorrow, the grand total for the Main Event should at least hit a min of 6,500. Going into the final level, some notable big stacks include Shannon Shorr, Ted Forrest, Sorel Mizzi, and Brad Garrett. Leaving us early were Chris Moneymaker, David Benyamine, Liz Lieu, and Robert Mizrachi. Big Girls on the Rail and Hot Girls Playing photo dumps coming soon. Get a more detailed recap here. Get fuller chip counts here.